Lisa Ellis – Myles F. Corcoran Construction Consulting, Inc.
Lisa Ellis joined Myles F. Corcoran Construction Consulting, Inc. in 1994. From 1995 to 2006, she investigated and reported on both Plaintiff and Defendant cases, including site inspections, responsibility allocation, construction cost estimating, and case research. In 2004, Ms. Ellis was promoted to Senior Inspector/Consultant. 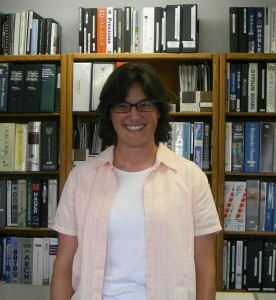 Ms. Ellis has participated in over 200 construction analysis projects, including administering project-specific databases to respond to unique client needs. She has acted as Owner’s Representative on post-litigation repairs, such as a $1.5M structural retrofit and remodel, and a $0.5M window and stucco replacement project. She held a Class B General Building Contractor License (#834959) from 3/04-3/14 and was a Certified Building Inspector (ICC Cert. #1140835-10) from 5/99-5/11. Ms. Ellis continues to contribute senior-level strategy and research on select consulting cases. For more than 10 years, Ms. Ellis has contributed significantly with her leadership and management. In 2006, she was formally promoted to General Manager, having executive level responsibility for all company financials and operations. Ms. Ellis uses database analysis to monitor the critical indicators of the health of this organization and to increase the accuracy of its consulting services proposals. Ms. Ellis responds to clients’ requests for services, identifying clients’ needs and matching those needs to MFC services within the clients’ budget and time constraints. She is responsible for staff hiring, training, performance evaluations and employment terminations. "MFC provided new, fresh, and informed observations as well as good assembly details." - D. Cook, D. Cook Construction.